The scientific name Coffea arabica is native to Ethiopia. Records show cultivation taking place as far back as 800 A.D. 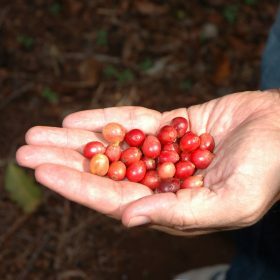 Although some other species of coffee are grown commercially, selections from C. arabica are the most economically important. The University of Hawaii field trials done in the late 1980’s tested arabica varieties that had been collected from plantings done in Kona in the 1940’s and early 1950’s. Those varieties were the result of seed collected worldwide. The original UH field trial planting at the Kaanapali Estate is still in existence. Some of the varieties tested were Caturra, Catuai, Progeny 502 (Typica), Guadeloupe, Bourbon, Kents, Margo Gipe, Mundo Novo, Guatemalan, San Ramon, 6661 (Typica), and Moka. It is called “Yellow” because the cherry ripens yellow instead of the conventionally recognized red color. 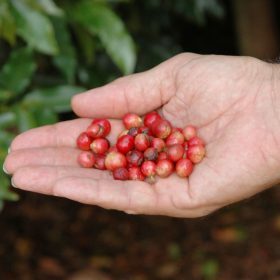 There is a Red Caturra as well, this as similar to other varieties that are named by their colors like Red Catuai and Pink Bourbon. Caturra is a mutant of C. arabica found in Brazil in 1950 and sent to Kona from El Salvador via quarantine in1954. This variety performs well in hot, drier conditions and is known for its’ short internodes, semi-dwarf quality and high yields. The cup is clean and mild with spicy overtones. This variety which also has a Yellow sister variety, is a result of a breeding program in Brazil in the 1960’s. It is a cross between Caturra and Mundo Novo. It is a semi-dwarf with excellent agronomic traits. This was the main Variety grown in Costa Rica and Brazil during the 1990’s. 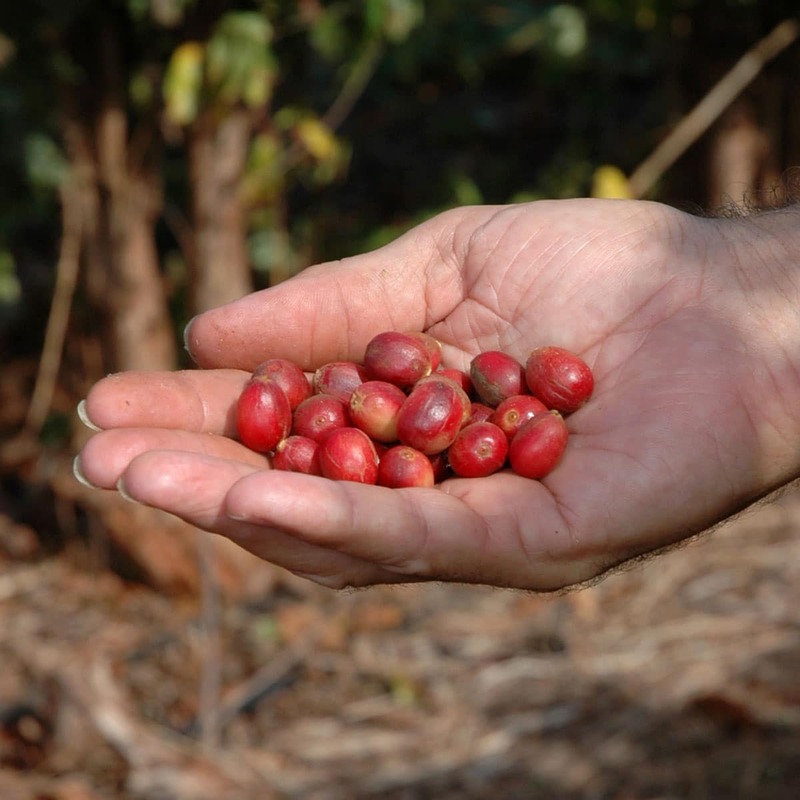 This variety carries strong consistency in the cup for brightness and body. Once described by a coffee writer as the “cabernet of coffees.” It is suitable to all growing conditions at the Kaanapali Estate. Progeny 502 is the most similar to the Guatemalan grown in Kona. It was a selection of Typica thought to be a superior mutant in the late 1940’s. 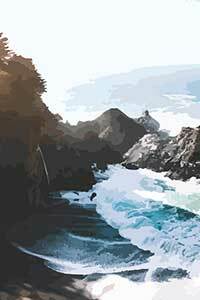 It was brought to the Kona trial from the Turrialba Research Station in Costa Rica in 1955. While difficult to harvest mechanically this selection consistently produces well and late in the season after all the others have finished. 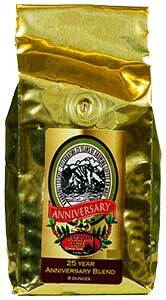 It is grown in the higher elevations at the estate and produces a fine cup with mild acid. Variety 6661 also known as Pioneer Selection was brought to Kona from Ethiopia. 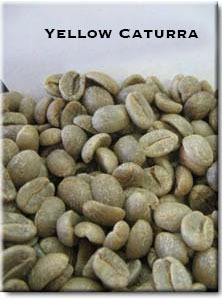 It is very similar to Progeny 502 in cup quality but with a much larger quality coffee bean. This by far was the most intriguing variety in the trials. Based on the outcome of the cupping results, Pioneer Mill eventually planted a third of their acreage to this variety. It is contrary to the belief that large beans mean a better cup. In the case of Mokka, size does matter! It is hard to find a bean larger than a screen 14. The bean is round and is often mistaken for a peaberry. Upon closer examination one can notice the classic dicotyledonous flat side signifying two whole beans per cherry. The cup is smooth and wonderfully fused with different chocolate flavors and often times with good acidity. Many names are associated with it; a location (the port of Al Mokha in Yemen, a product (coffee shipped from the port of Mocha), a blend of coffee and chocolate called mocha java, a coffee from Ethiopia (Moca), and a specific variety of coffee having small leaves and fruits. The variety has been referred to by all of the above names. This variety is said to be over 1,000 years old due to its’ origination in Ethiopia grown in what is now Yemen. It has been reported that Mokka trees are growing at 10,000 ft. elevation in Yemen. 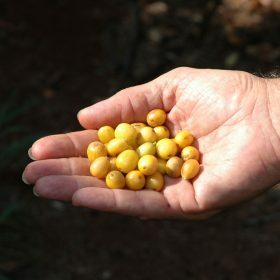 It grows best for us at MauiGrown Coffee at 500 feet. It was put in the Kona plantings in 1955 via Turrialba and quarantine. Not all is rosy about this variety though, it is hard to harvest by hand and has a habit of alternate bearing. Yields are also typically light. 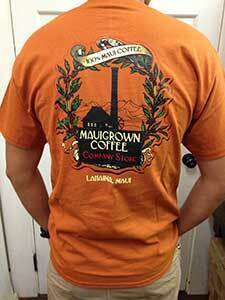 All in all this variety put gave coffee grown on Maui its’ notoriety.